Published: Nov. 4, 2016 at 07:28 p.m. Updated: Nov. 4, 2016 at 08:06 p.m. Here in the weekly daily fantasy roundup column, we'll break down everything you need to know to pick the best plays on the Week 9 slate. If any of the terminology goes over your head. Please refer to the "what you need to know" preview of the roundup. Drew Brees, QB, New Orleans Saints - The 49ers don't give up many passing yards per game, but that's because their run defense is so atrocious. What's more telling is their 15-5 touchdown to interception ratio. 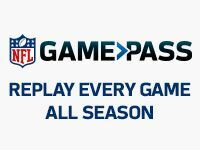 The 49ers play fast, averaging the fewest seconds per play in the NFL, while the Saints average the most plays run per game. As such, this game should feature a ton of offensive production, and because he is on the road you'll likely get Brees at diminished ownership. Nick Foles, QB, Kansas City Chiefs - Your value replacement quarterback of the week is here. Foles instantly showed more propensity to throw the ball downfield compared to Alex Smith when he stepped in for the Chiefs starter in Week 8. The Jaguars play solid pass defense, ranking eighth in yards per game allowed. However, Foles does not need to do much to bring value back to your lineup. Matt Forte, RB, New York Jets - After seeing his workload take a decline following a high-volume start to the season, Forte has 61 total touches over the last two games. No coincidence that they are both Jets wins. New York needs to put more work on Forte to help sustain offense, not continue to ask the world of their mistake-prone quarterback. Despite allowing the eighth-most carries per game to running backs (23.6) the Dolphins allow the second-lowest touchdown rate. That needs to regress to a relative median at some point, and Forte finding the end zone could be a start to that process. Theo Riddick, RB, Detroit Lions - In his Week 8 return Riddick showed no signs of rust in handling 83 percent of the Lions backfield touches on the road against the Texans. Expect Detroit to deploy a similar strategy playing on the road against a similarly aggressive front-seven in Minnesota. Any running back with that kind of touch upside is firmly on our radar. Keep in mind the Vikings just gave up 202 total yards to Jordan Howard on Monday night, including four catches for 49 yards through the air. Frank Gore, RB, Indianapolis Colts - Rather quietly, Frank Gore is in the middle of another impressive season. His yards per carry and receptions per game are both up from 2015 with Andrew Luck back under center. He's still inappropriately priced for a feature back in a high-flying offense. The Colts tilt with the Packers should feature the most points scored on the slate. You want a running back attached to that result. Jordy Nelson, WR, Green Bay Packers - Moving into the slot helped Nelson create more separation. Randall Cobb is a game-time decision this week according to Mike McCarthy. If Nelson mans the slot once again, he has a better shot to access a 100-yard ceiling. Even without that, he's enough of a red zone presence that he has a solid floor in a high-scoring game. Kelvin Benjamin, WR, Carolina Panthers - The Panthers No. 1 receiver has at least 70 yards in each of his last three game but did not find the end zone in any of those game. Carolina travels to Los Angeles to take on the Rams in Week 9, who allow the most catches per game (15.9) to the wide receiver positon. While top corner Trumaine Johnson could make his return in this game, Benjamin is still in good position to enjoy a strong outing. Michael Thomas, WR, New Orleans Saints - Emerging as the most consistent and predictable Saints wideout, Thomas has 60 yards and/or a score in each of his last five games and a 76.4 percent catch rate on the season. The 49ers are Football Outsiders' 20th ranked pass defense in DVOA, and should allow plenty of plays to the Saints. Kenny Stills, WR, Miami Dolphins - A dart-throw, yes, but one that certainly has reason behind it. Stills played 93 percent of the team snaps in their game before the bye, well ahead of DeVante Parker's 69 percent. Stills owns a 30.4 percent of the team's intended air yards, which leads the team by a decent amount. The Jets defense gives up the third highest yards per target to wide receivers and Darrelle Revis continues to have no answers for speed receivers on the outside. Kyle Rudolph, TE, Minnesota Vikings - It's a rough week for tight end byes, so Rudolph is at worst a top-five option. The Lions allow a league-high seven touchdowns to the tight end position and have only kept Zach Ertz out of the end zone among the starters they have faced. Antonio Gates, TE, San Diego Chargers - Say what you want about how he looks on the field, but the usage is all there for Gates. He's already seen 25 targets the last three weeks, and leads the team in red zone targets despite missing multiple weeks. Especially with Hunter Henry missing his third straight practice on Friday, Gates is as good a bet as anyone for a touchdown. Kansas City Chiefs DEF - No quarterback has been as generous in handing out fantasy points to opposing defenses than Blake Bortles. Miami Dolphins DEF - See above: Ryan Fitzpatrick is also right up there. Dak Prescott/Ezekiel Elliott, Dallas Cowboys - The Browns allow 6.4 yards per play on the year and 41.5 percent of the offensive drives against them have resulted in a score. The Cowboys have clarity on offense and both of their rookies are leading the way. The Prescott/Elliot stack would have produced a combined 42.1 points in NFL.com's standard scoring system last week, and that was in facing a far superior Eagles defense to the unit they'll see in Cleveland this week. The Cowboys are projected to blowout the Browns, and stacking these two players is the best way to hoard the team's entire touchdown output. Both Dak and Elliott will push to be the highest-owned players at their position for the week. But they both deserve it. Andrew Luck/Donte Moncrief, Indianapolis Colts - The Colts and Packers game should be the highest scoring game on the board, and the Packers still have major issues in their secondary. Moncrief garnered 41 yards and touchdown on team-high nine targets in his return from a multi-week absence. He also could have had a long 40-plus yard touchdown to add to the mix, but that was called back by injury. T.Y. Hilton was removed from the injury report on Friday, but could still take a backseat to Moncrief in this spot. Look for these two to push the top of the leaderboard. Allen Robinson, WR, Jacksonville Jaguars - The struggling Jaguars receiver takes 45 percent of his snaps from the left wide receiver position, which should take him away from Marcus Peters' coverage at the left corner spot for the majority of his routes. At some point, Robinson will get going. He's seeing 10 targets a game in an offense that frequently needs to take to the air. The Jaguars will likely be in negative game script for the majority of this game, meaning Robinson should have plenty of opportunities go his way. No one will be desperate to use him, but if he's facing the Chiefs inferior corners, he can get over for a few big plays. Jerick McKinnon, RB, Minnesota Vikings - It's always dicey to use a skill position player coming off injury, but McKinnon looks likely to start and has a solid outlook this week. Not only do the Lions allow 4.71 yards per carry on the season, but with the state of the Vikings offensive line, they need short-area passing options. McKinnon is a scary athlete in space, and could hit a big play at home against a weak front seven. In a week with countless dicey running back plays, he makes for an interesting low-owned option. Chalkcandrick West played at least 80% of the snaps five times last season. Averaged 20.16 DK points in them. Opposing teams run on the Jaguars at an average of 25 carries per game, the third-highest rate in the NFL. West is an easy value play and opens up a ton of other space to work with in your lineup. Jarvis Landry, WR, Miami Dolphins - Much of the story with the Jets secondary has surrounded the decline of cornerback Darrelle Revis. However, New York has also struggled to slow down interior receivers. The Jets allow 71 yards per game to slot receivers and a league-high 9.5 touchdown rate. There's certainly merit to chasing the ceiling of Kenny Stills or even DeVante Parker, if he plays, but Jarvis Landry should be in position for an excellent line. His ceiling and floor are wroth using to anchor your lineup. Dontrelle Inman, WR, San Diego Chargers - Travis Benjamin will likely play, but he'll go in with the same PCL strain that has limited Tyler Lockett this season. A receiver built on speed doesn't seem likely to succeed with that sort of ailment. Enter Dontrelle Inman, who has produced when called upon. Inman actually leads the team in snap share (91 percent) in Weeks 2 through 8 since Keenan Allen's injury. Inman has 250 yards and a touchdown in the three games where he's seen six or more targets. That seems like an achievable level of volume if Benjamin's role is marginalized.